The sacroiliac joint is the joint that connects the sacrum (the triangular bone located at the bottom of the spine) to the hips. This joint is a shock-absorbing structure, and is responsible for transmitting all the forces of the upper body to the hips and legs. Therefore, any kind of inflammation or dysfunction to the joint can cause severe pain in the lower back, buttocks, and legs. Usually, middle-aged and young women experience more pain in the sacroiliac joint because of joint dysfunction. This condition happens due to too much movement of the sacrum, which ultimately causes the pain in the hip or lower back to spread to the groin. Interestingly, very little movement can also cause pain to the sides of the lower back or buttocks that eventually spreads down to the legs. Sacroiliac (SI) joint injections are used for the diagnosis and treatment of sacroiliac joint dysfunction. 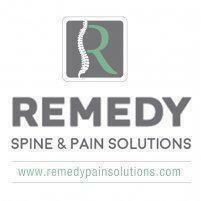 These are long lasting injections that give pain relief for a longer period. However, diagnosis of the joint dysfunction is difficult because the symptoms are similar to that of common types of back pain, like facet syndrome and other lumbar spine conditions. In order to check for the dysfunction, a diagnostic SI injection is prescribed. During this process, the sacroiliac joint is numbed by a local anesthetic (such as lidocaine) using X-ray guidance (fluoroscopy). After the injection of anesthetic, the patient should try to perform regular activities to check for the pain. If the patient could still feel 75-80% of the pain, then it indicates SI joint dysfunction. To confirm the diagnosis, a second injection is performed with a different anesthetic, such as Bupivicaine. The joint pain is confirmed if the second injection also fails to the relieve pain by 75-80%. To provide proper pain relief, a therapeutic SI joint injection is prescribed to the patient. An anti-inflammatory medication (corticosteroid) is used along with a numbing medication; the injection is followed with physical therapy for a prolonged pain relief. Patients should drink plenty of water to flush out the dye used for fluoroscopy and avoid doing excessive physical activities immediately after the injection. It is even better to rest for a day and continue with normal daily chores the next day. There are no potential risks or side effects associated with the sacroiliac joint injection. However in some cases, patients might suffer from mild side effects like allergic reactions, soreness, bruising, and infection at the site of injection, but these instances are actually rare.